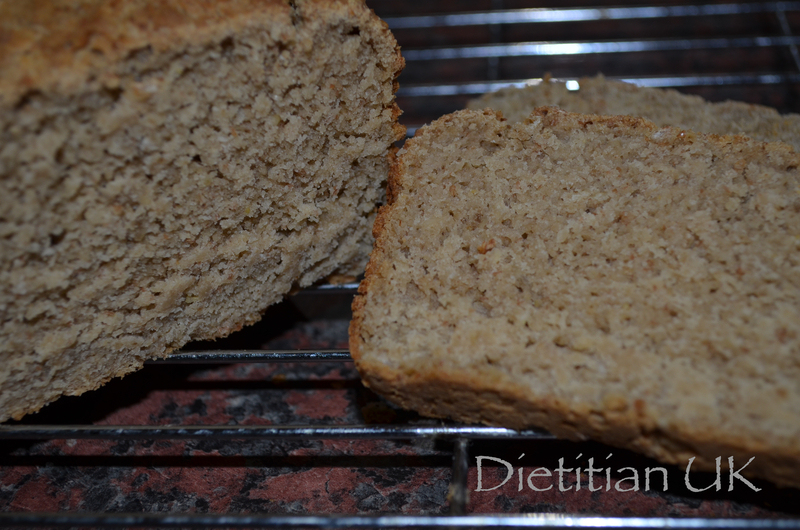 My best gluten free, wheat free bread recipe! Finally. HALLELUJAH. I’ve got a recipe to share with you for not just decent, but really nice, tasty, can be eaten without toasting, doesn’t crumble all over the place…. 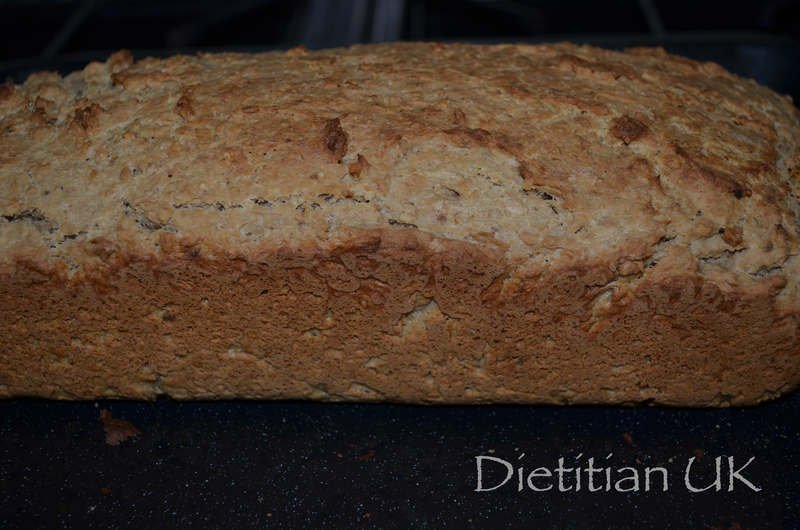 wheat free, gluten free BREAD. I know. Really. I’d pretty much given up making bread for myself. I make the family 1-2 loaves a week in our bread maker and it always comes out good (as long as I remember to put the paddle in the bread machine that is!). However over the years I’ve tried so many bread recipes for myself, so many flours and I’ve just ended up plain disappointed. Sometimes I get a half decent loaf, but there is no rhyme or reason to it. 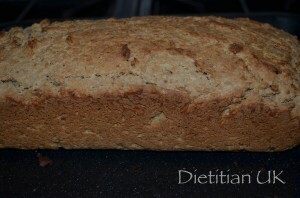 I’ve tried numerous flours and mixes, my best recipe up till now is my nut bread – which is a completely different type of bread. Then in the Christmas sales I decided to treat myself to a stand mixer. My trusty food processor has pretty much kicked the bucket, so I’ve gone for a change. This beauty is making me smile most mornings when I enter the kitchen. Not only is it bringing beauty to my worktop, I’ve also discovered a secret. Stand mixers make better gluten free bread! Mix the flours, xanthum gum, oats, cream of tartar, bicarbonate of soda, sugar and yeast on low in the stand mixer for a few minutes. Add the butter, vinegar, treacle, eggs and milk - one ingredient at a time mixing all the while. Leave to mix for 5 minutes. Now add to the loaf tin, cover with cling film and a tea towel and leave to rise. Preheat the oven to Gas Mark 5, then bake in the centre of the oven for 30 minutes. 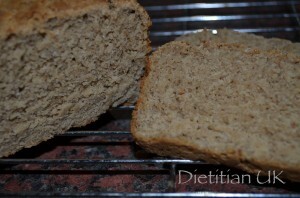 Remove from the loaf tin and put onto a baking tray to cook for 5 minutes to get a better crust on the loaf. 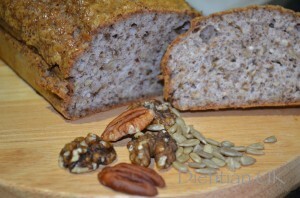 Health in a loaf: Nut and Seed Bread. I’ve been properly wheat free for about 5 years now and in all that time I’ve yet to fully master the art of a decent bread. I’ll be honest it isn’t something I’ve spent much time on, but I probably should! Ask me to bake crumpets or pitta wheat free and I’ll rustle them up… but bread befuddles me. So all this week I’ve had a nut and seed bread brewing. Finally I had time to have a play in the kitchen and give it a go. The result was a pretty spectacular loaf. I decided to avoid my bread machine and do it all by hand. The mixture was very sloppy which concerned me initially but then it had a lot of eggs in and I remembered using a packet mix which was similar in composition. I was so taken with this bread that I made another loaf using avocado instead of the oil – guess what? It was EVEN BETTER! So the final recipe is gluten, wheat and dairy free. This bread is packed full of heart healthy monounsaturated fats from the nuts, seeds and avocado, plenty of protein, the antioxidant vitamin E from the nuts and seeds, omega 3’s from the walnuts, phenols, tannins and flavanoids, magnesium and potassium. Wow a real powerhouse of nutrition just in a bread. I enjoyed it with some cheese, tomato and cucumber but it is also lovely on it’s own. A great snack on the go or and easy lunch. 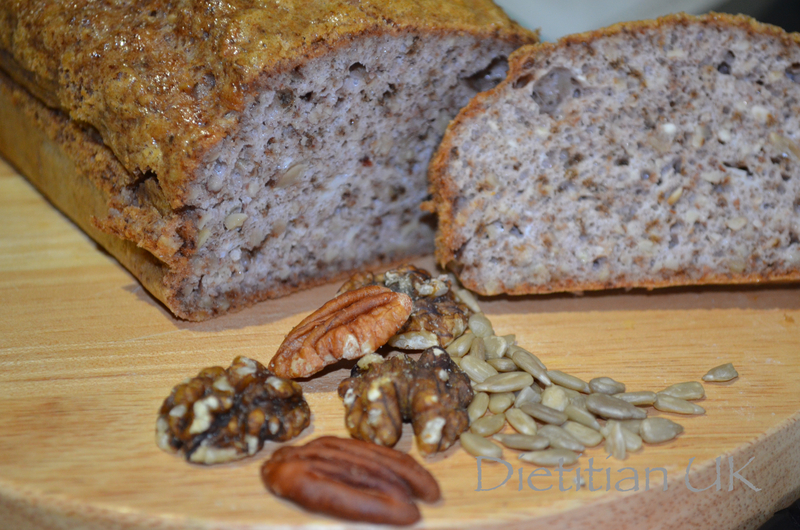 A healthy bread made with nuts, seeds and avocado. Preheat the oven to 175C or Gas Mark 4. Place the nuts and seeds into a food processor or coffee grinder and grind into a fine breadcrumb texture. Add the baking power and mix. Scoop the avocado out of its skin, chop and add to the processor and mix. Alternatively mash and mix in by hand. Beat the eggs in one at a time and add the lemon juice. The mixture will be runny like a cake mixture. Bake for 40-45 minutes until a skewer inserted in comes out clean.